OMG Posters! 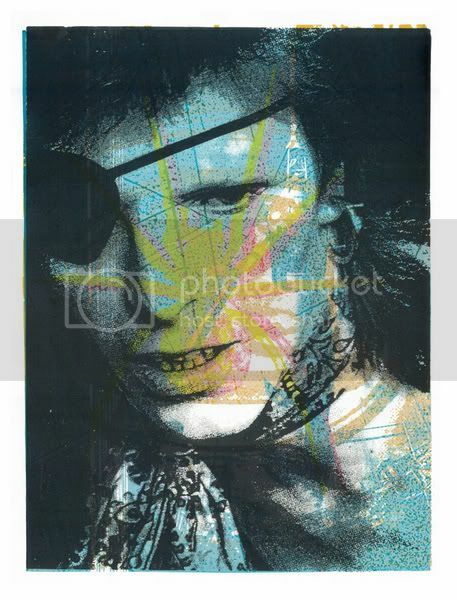 » Archive David Bowie "Starman" Art Print by Print Mafia - OMG Posters! Print Mafia have another great, iconic art print for sale. “Starman” is a 17.5″ x 23″ screenprint, has an edition of 80, and is $35. This is definitely my favorite of theirs in awhile. Visit the Gigposters.com Classifieds. Q – Do these normally sell out quickly ? Not all sell quickly. Some are more popular than others. HST, CASH and DYLAN went fast, Captain Trips a bit slower but still went well. The others are steady sellers. I should probably get the CASH and DYLAN off the site. We have just a couple of A/P’s left of CASH and are very very low on Dylan. You can never tell – not everyone likes either the subject or the way we do the print. Since we don’t lay them out in the computer we have no idea how they will look until we pull the last color. What’s done is done. Nice, I like the view of his snaggles.